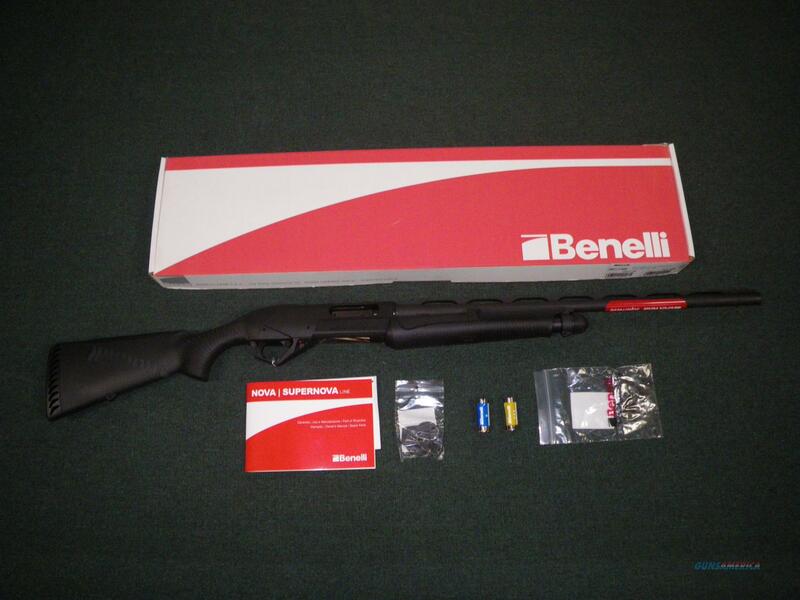 Description: You are bidding on a Benelli SuperNova pump shotgun in 12ga with a 28" barrel and 3.5" chamber. This shotgun takes the reliability of the Nova shotgun and adds a ComforTech stock to greatly reduce perceived recoil. A red bar front sight and center bead provide great target acquisition on top of the vented rib. 3 Choke tubes are included, Improved Cylinder, Modified and Full. Displayed images are stock photos. Any questions please feel free to ask (our phone number is in the additional information tab above).